This volume explores the emotions that are intricately woven into the texture of everyday life and experience. A contribution to the literature on the sociology of emotions, it focuses on the role of emotions as being integral to daily life, broadening our understanding by examining both ‘core’ emotions and those that are often overlooked or omitted from more conventional studies. 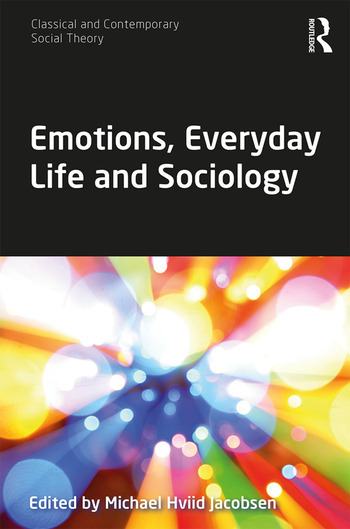 Bringing together theoretical and empirical studies from scholars across a range of subjects, including sociology, psychology, cultural studies, history, politics and cognitive science, this international collection centres on the ‘everyday-ness’ of emotional experience. Michael Hviid Jacobsen is Professor of Sociology in the Department of Sociology and Social Work, Aalborg University, Denmark. His research is concerned with topics such as crime, utopia, ethics, death and dying, palliative care, qualitative methods and social theory. His recent publications include Beyond Bauman, Postmortal Society, The Interactionist Imagination and Liquid Criminology.